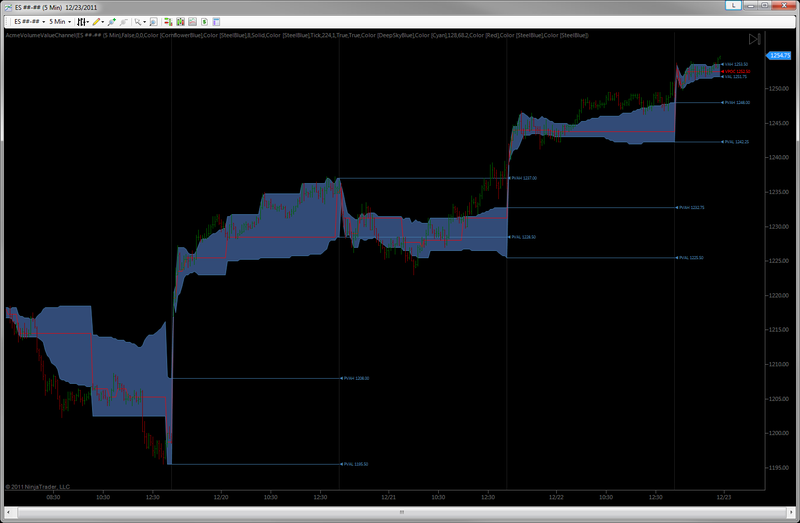 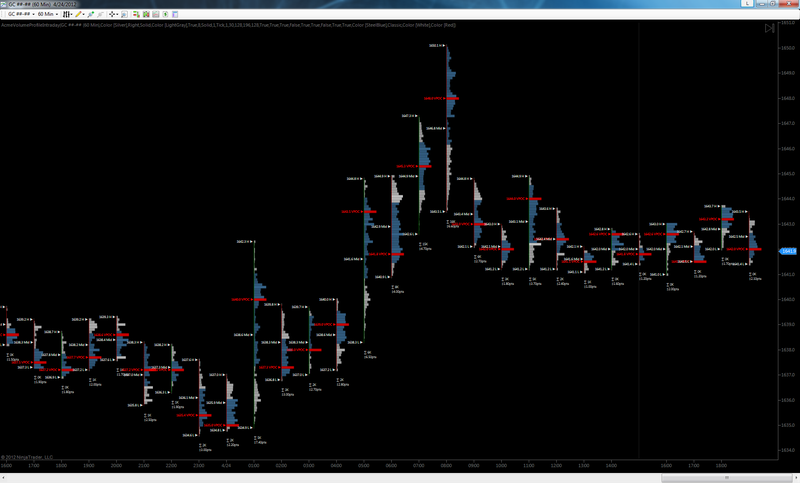 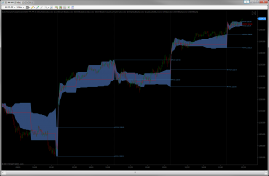 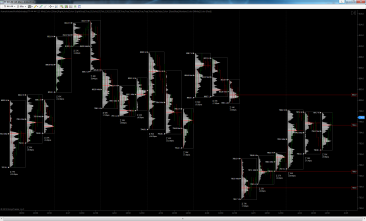 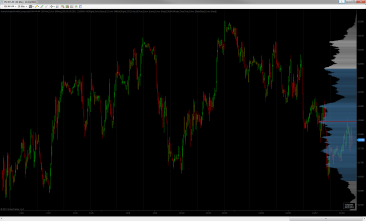 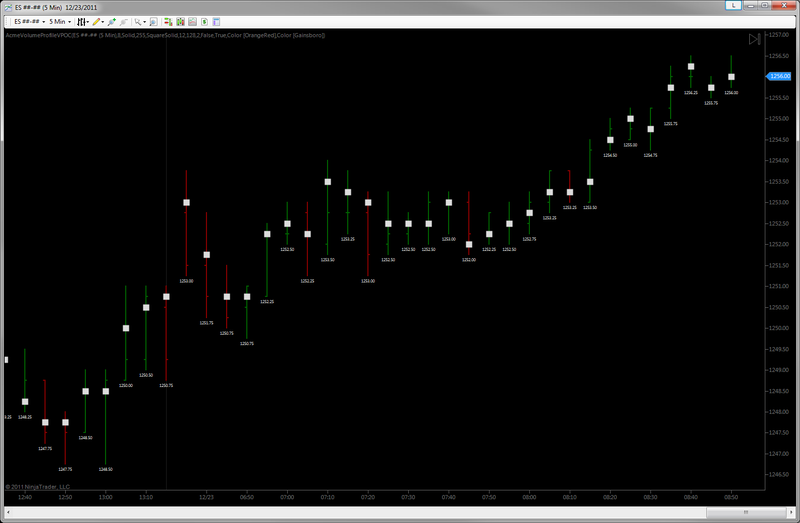 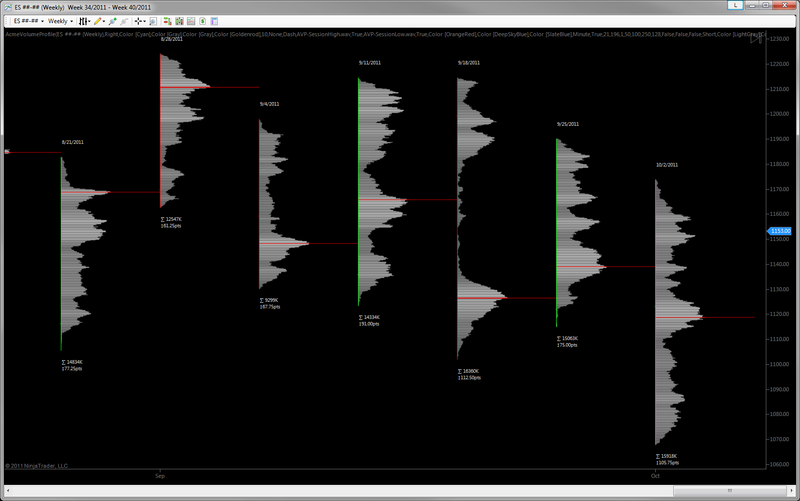 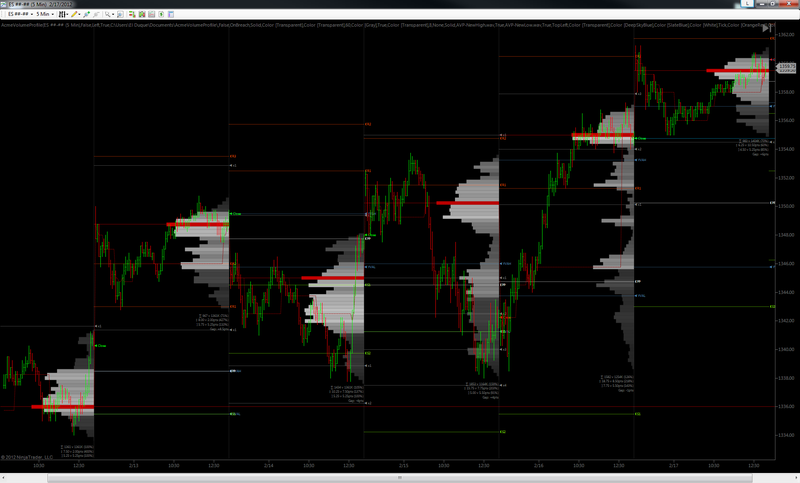 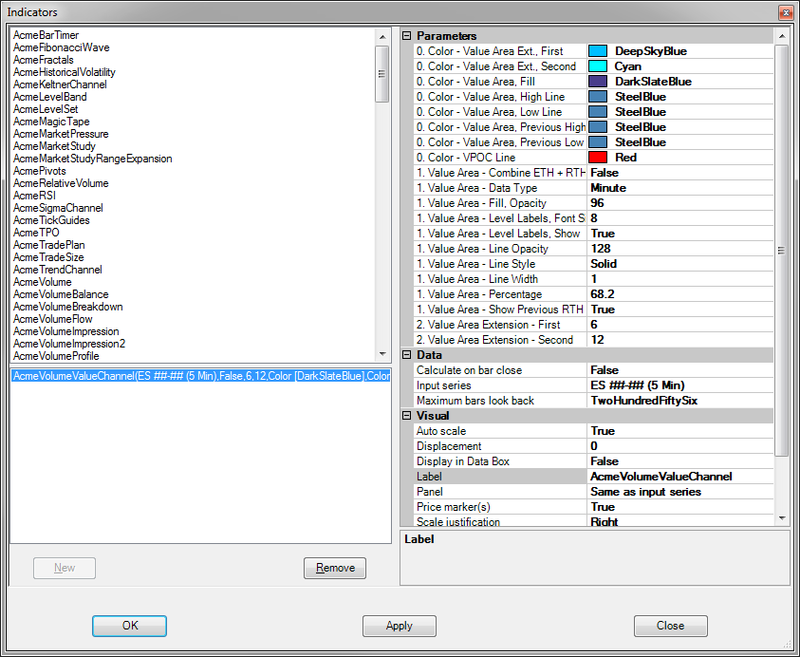 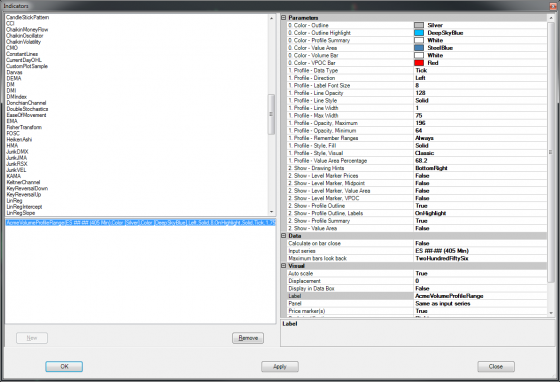 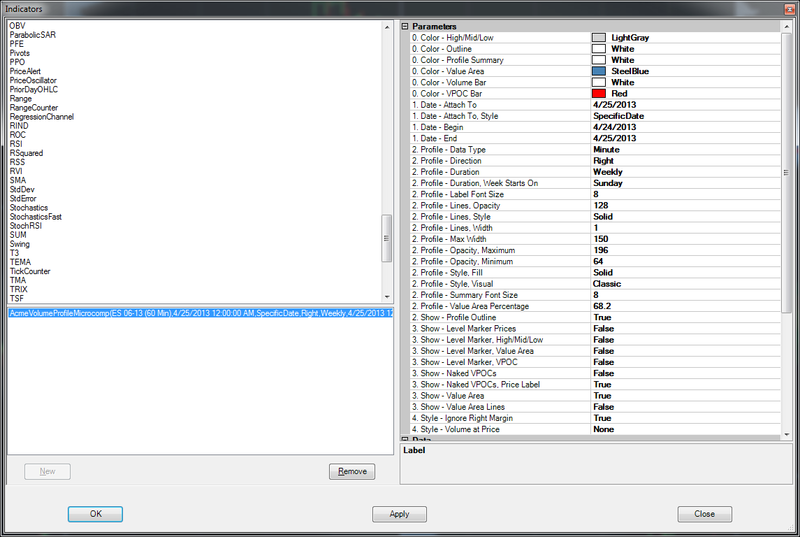 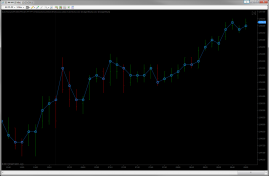 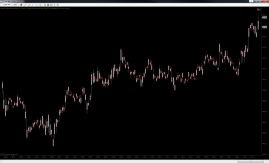 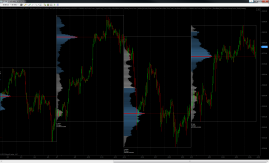 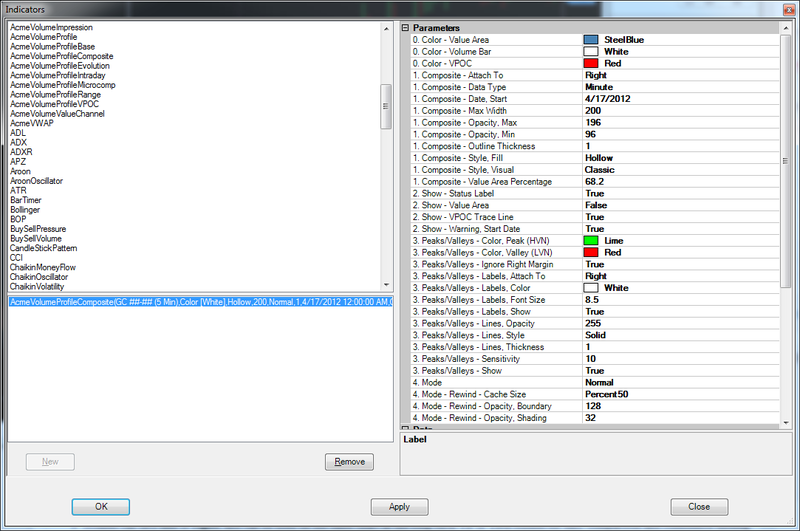 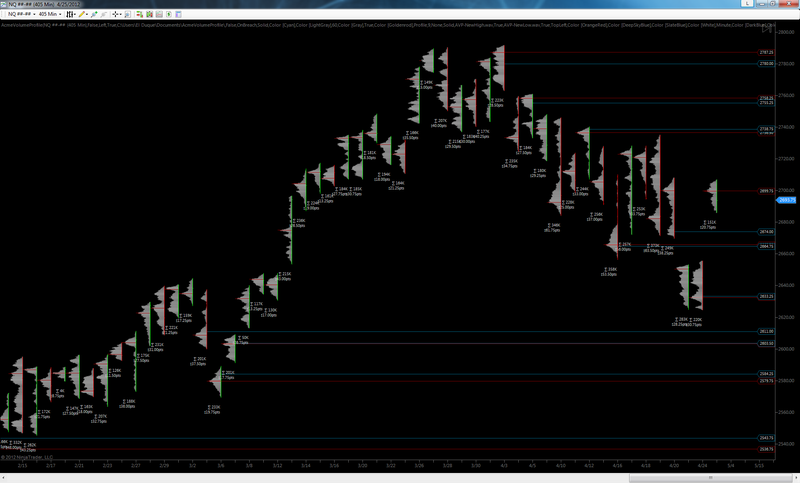 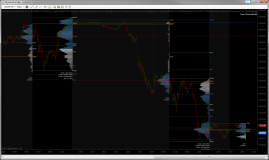 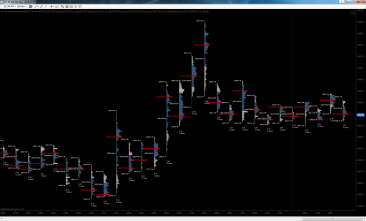 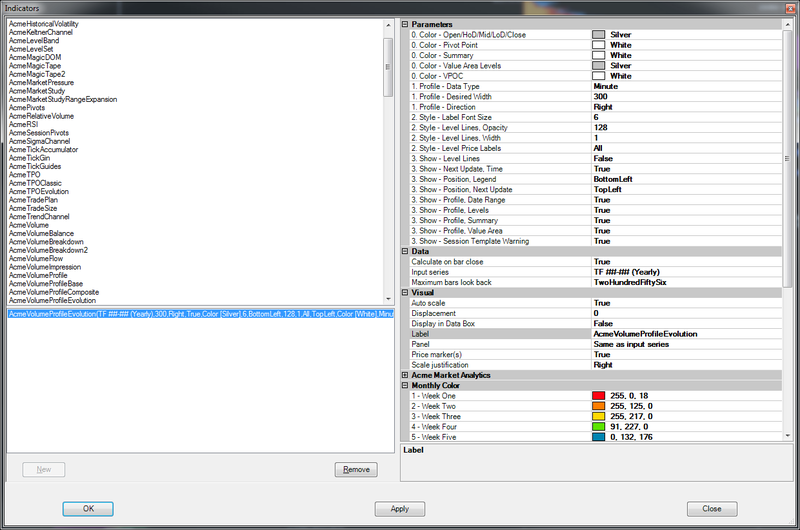 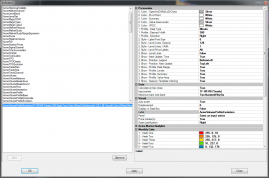 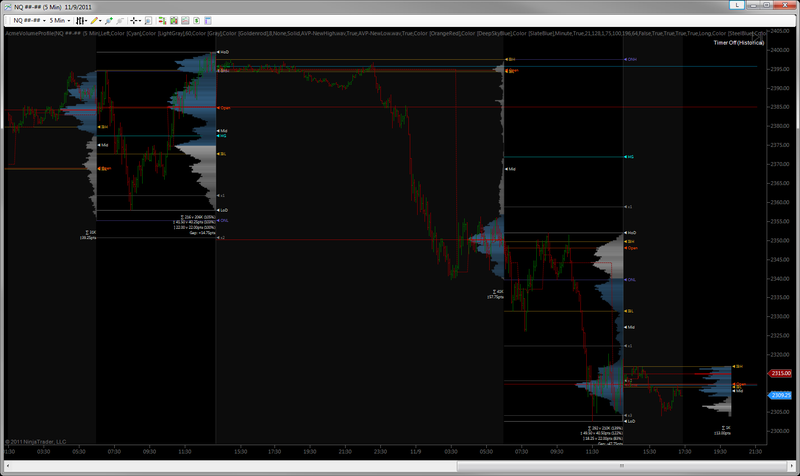 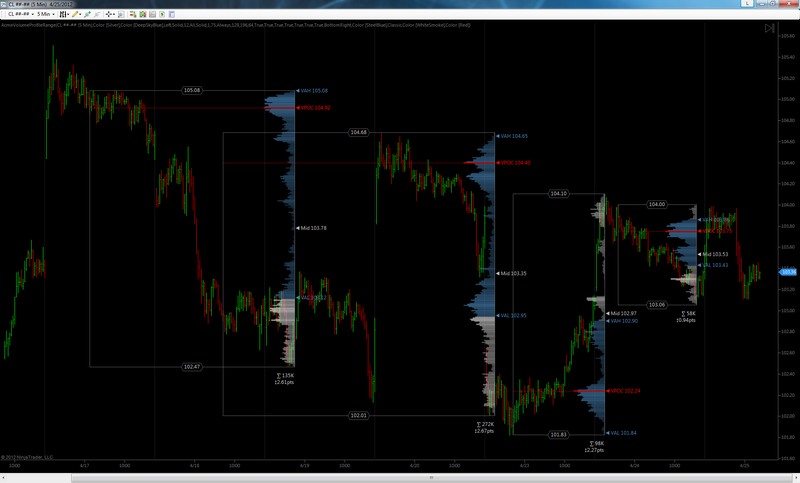 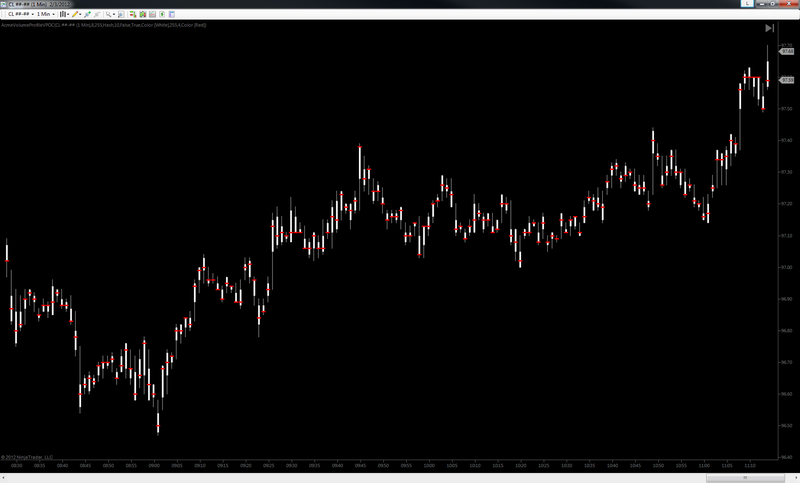 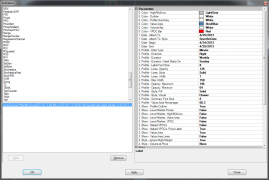 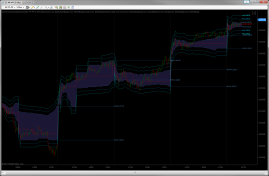 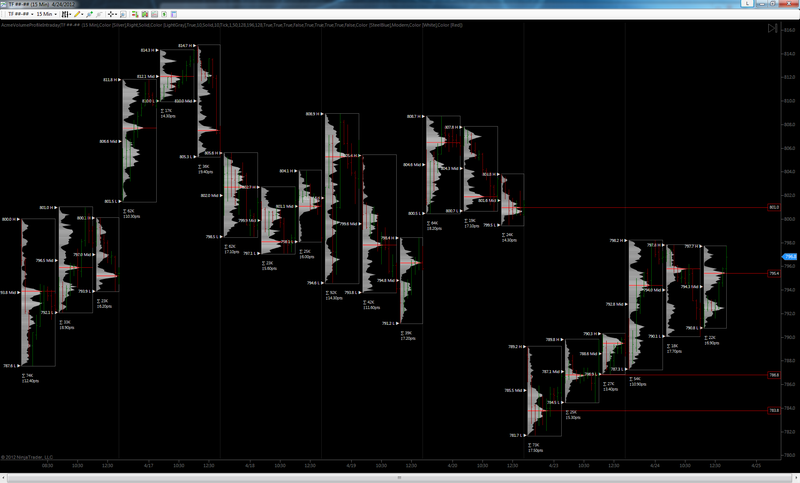 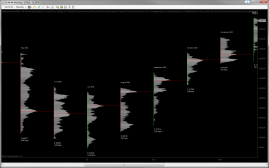 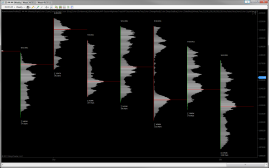 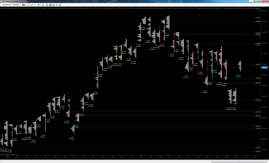 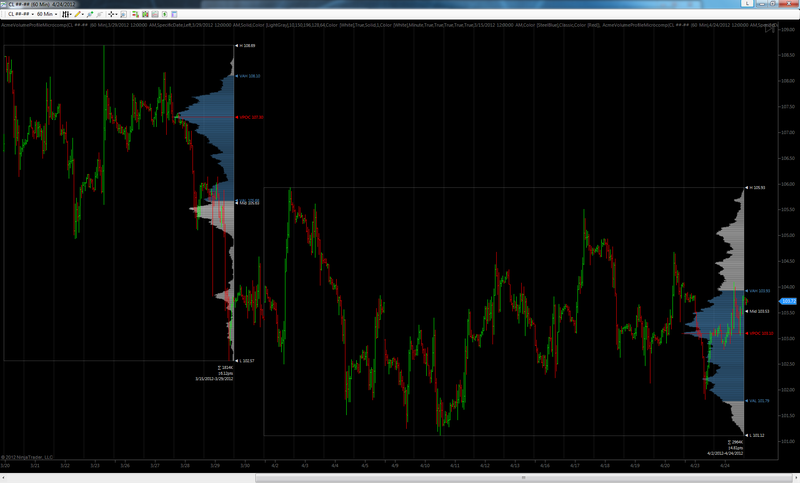 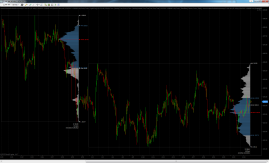 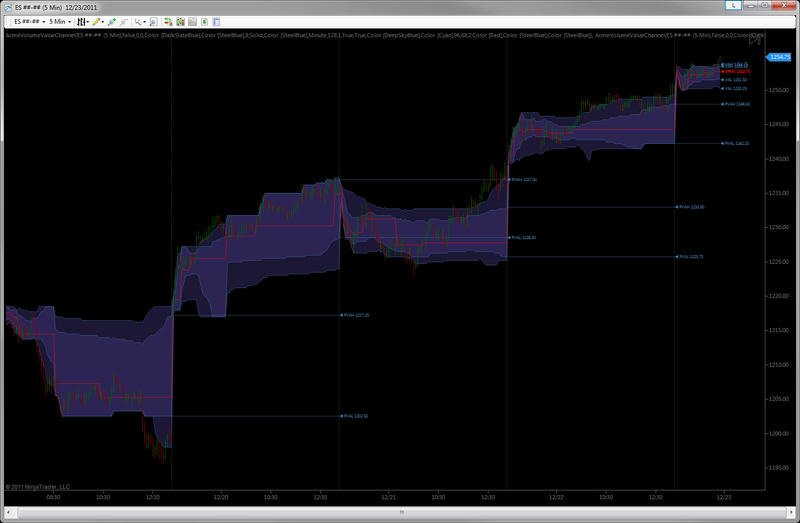 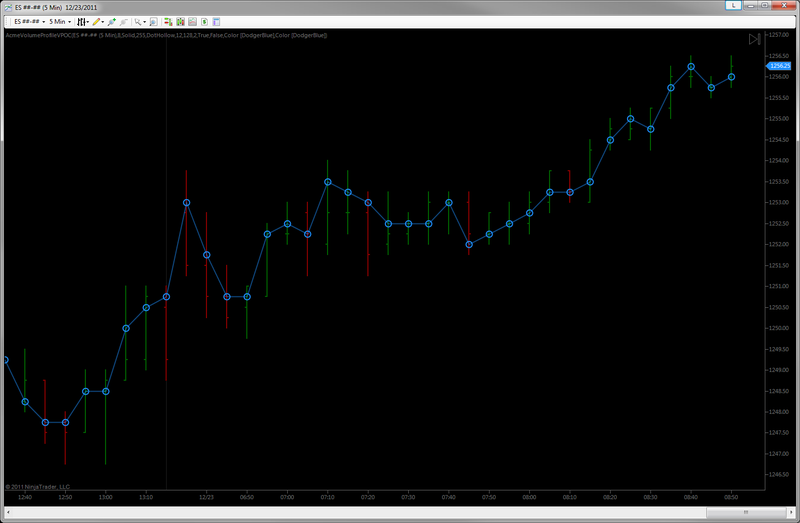 Most of the profile types can be used on any style of bar built into NinjaTrader 7 such as minute, range, volume or Renko, etc. Each type is implemented as a separate study/indicator so you can easily mix and match to fit your personal trading style, and their features are described in detail below. 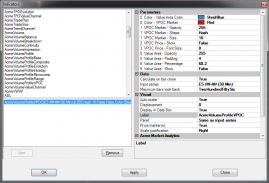 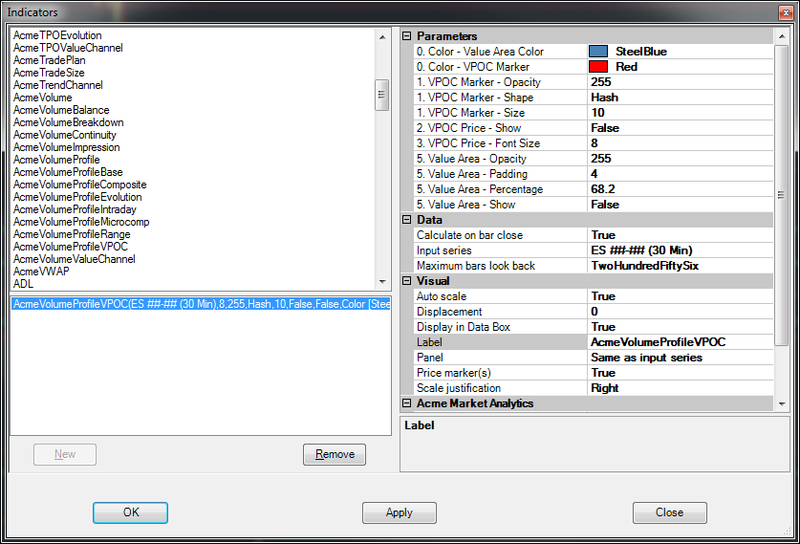 Part drawing tool, part indicator and full-on useful, the range profiling tool adds instant bar-level precision to your profiling strategy. 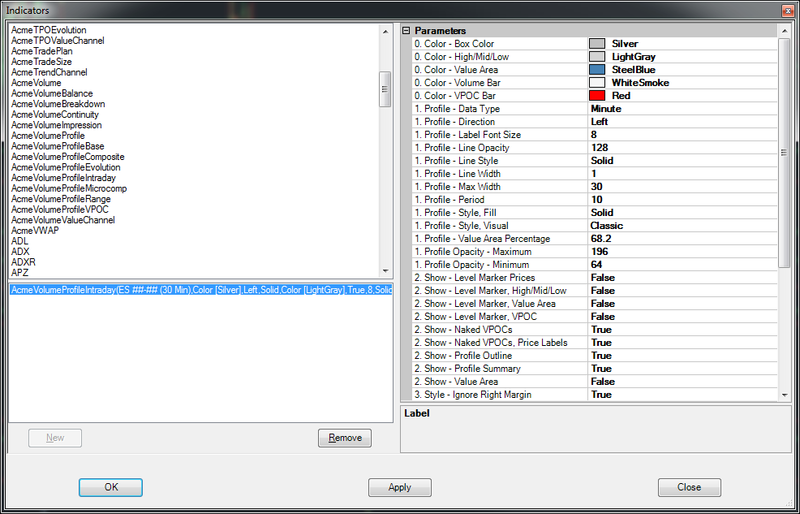 It really is as easy as one keystroke and two clicks of the mouse to create exactly the profile you need. 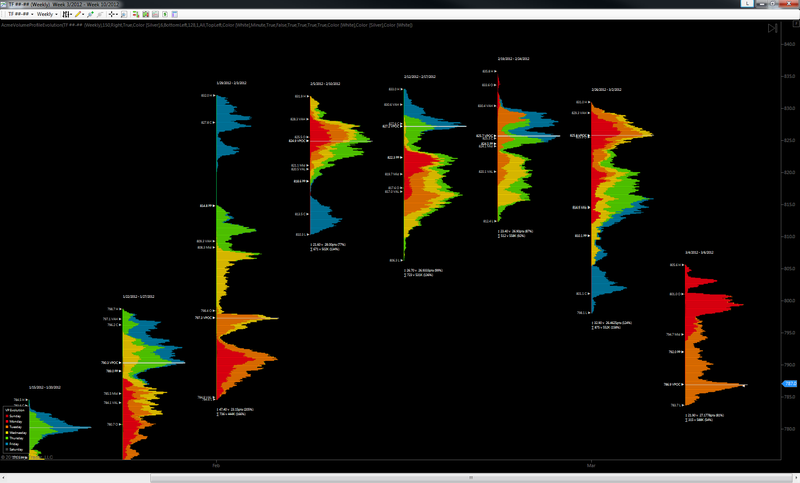 While the other profile studies in this pack focus on profiling days, weeks and even years’ worth of volume, the intraday study focuses on much smaller time frames. 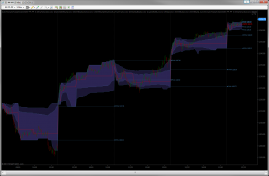 You can now profile individual bars, blocks of time, blocks of volume or even price ranges. 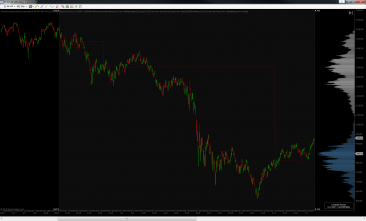 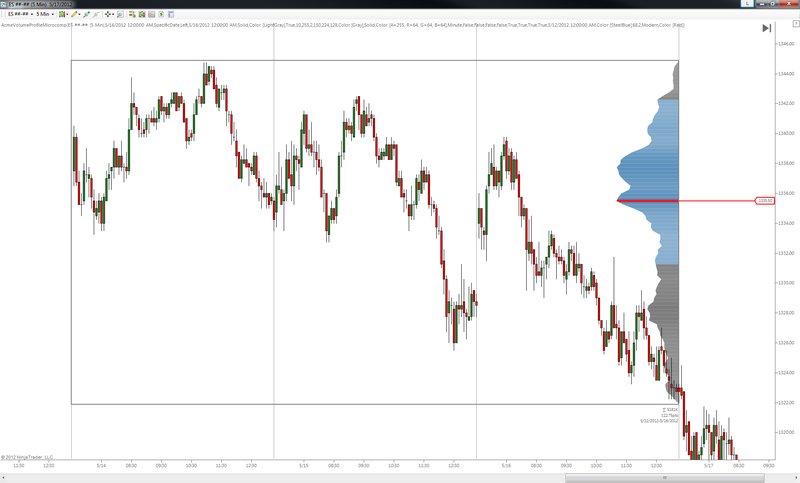 It really rounds out the profiling capabilities of the Acme suite, so have a look and consider how it might add some new depth to your trading strategy. 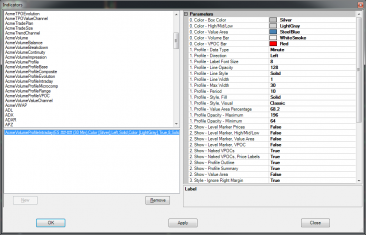 Need to profile longer spans of time than a session but don’t need a full-on composite? Well then, the micro-composite is just the ticket. 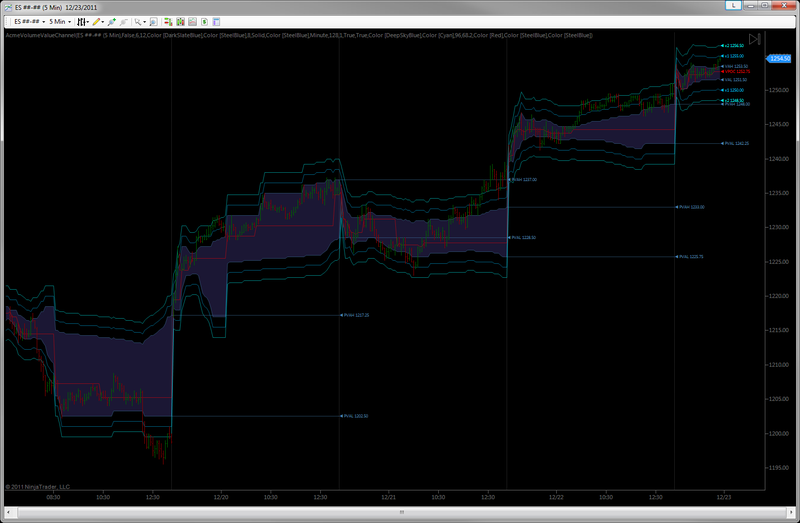 Last but most definitely not least, the composite profile is in for the long-ish haul. 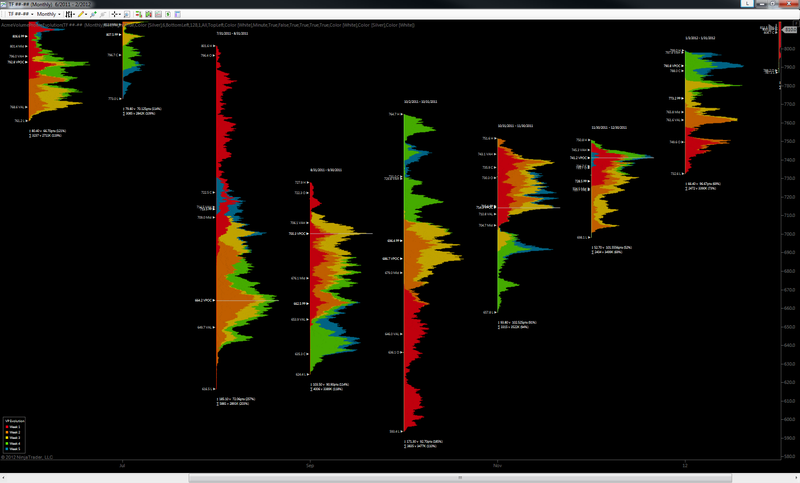 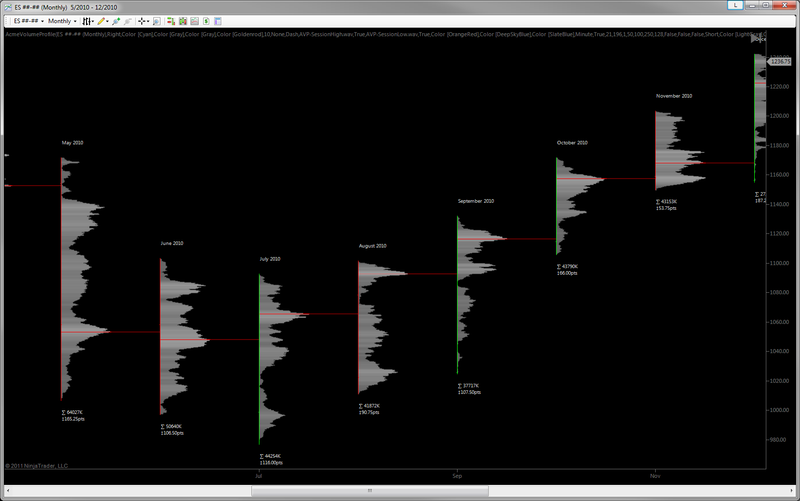 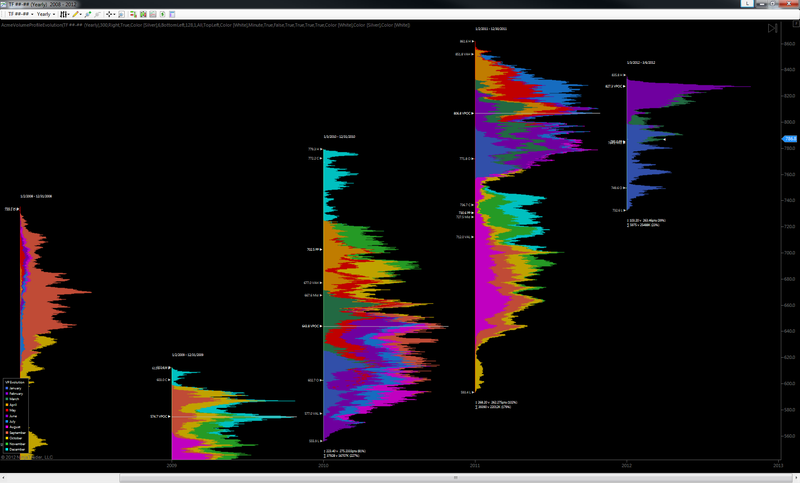 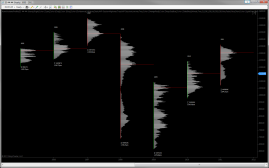 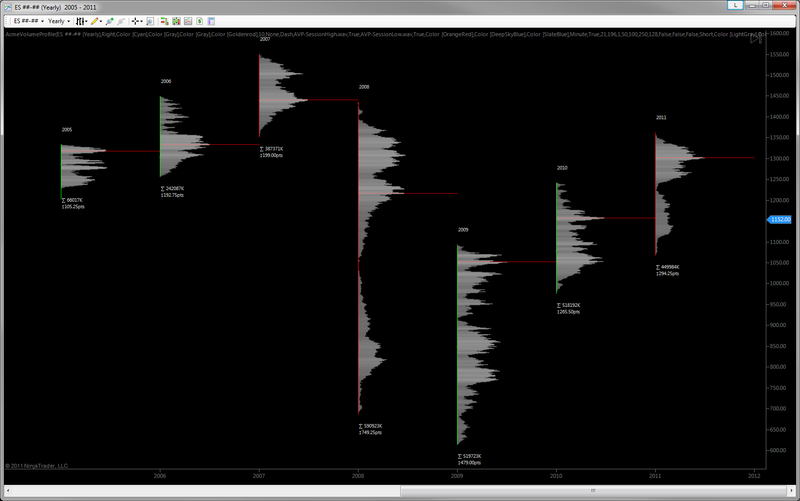 Most appropriate for profiling a few weeks to a few years’ worth of volume, the Volume Profile Composite helps you see accepted and “unfair” prices from the proverbial 30,000 foot view. 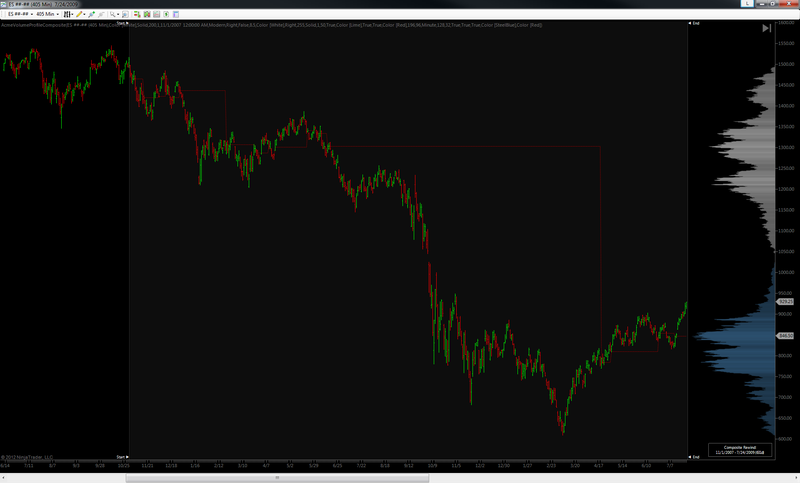 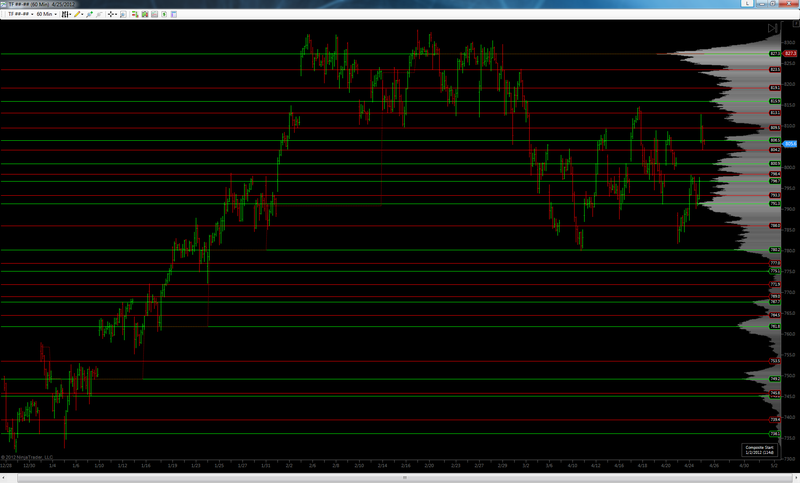 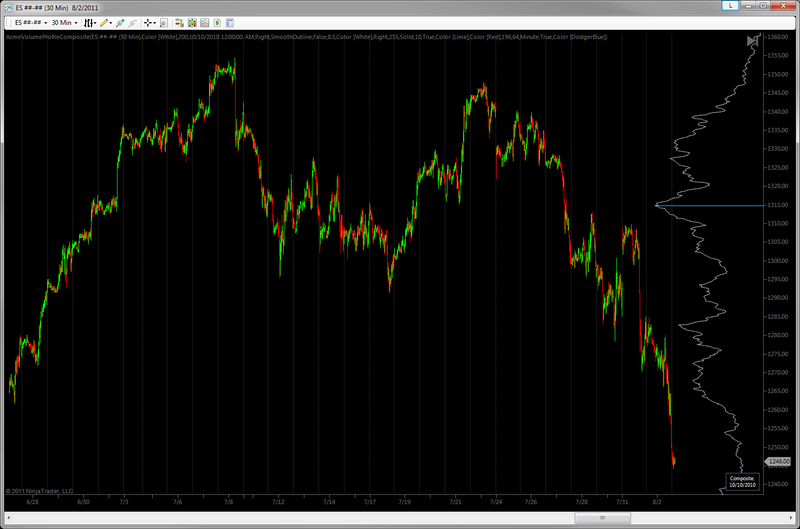 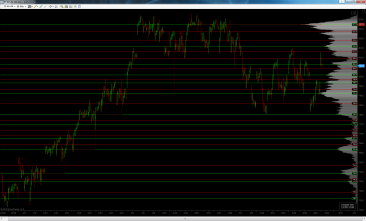 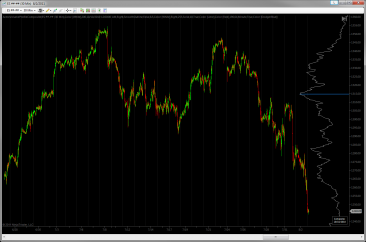 If you need to look at the big picture, then this is the study for you. 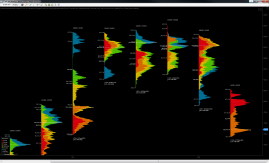 Many of the other volume profiling studies in this pack are all about ticks, minutes, hours and sessions, but the VP Evolution is all about weeks, months and years. 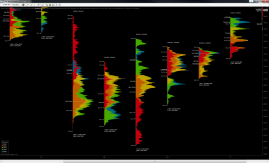 Like it’s time-at-price companion study, the TPO Evolution, the VP Evolution uses 3 essential dimensions – range, width and color-tuned time – to help you view the big-picture auction action. 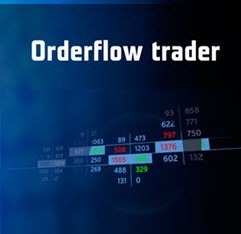 This one is a specialized price-volume study which allows traders to track just the volume value area of their choosing, in real time as it develops. In some ways it’s the hyper-minimalist’s volume profile, and it’s a perfect compliment to both the VPOC “value candle” study in this pack and the Volume Impression for value-oriented traders and/or traders of naturally mean-reverting instruments. 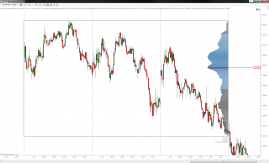 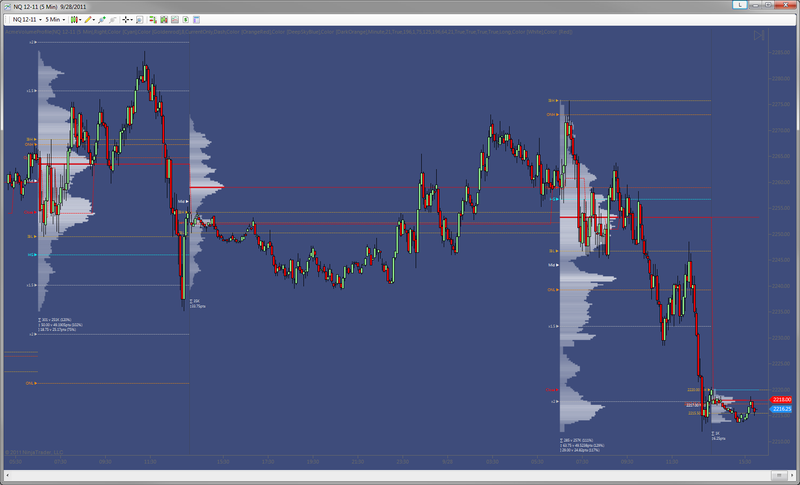 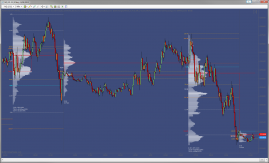 Yet another specialized study in the Volume Profile lineup, the VPOC study displays only the the per-bar volume point of control and (optionally the) value area –clearly, simply and flexibly.